Ever since he was little boy, Arjun Tejwani has wanted to be in advertising. But as it happens with many of us, as he grew up, he started dabbling in different things. Coming from a business background, Tejwani tried his hands at the family business for a while before someone told him about an opening for an activation and BTL position. Tejwani spent two years working in activation and then moved on to working on content and integrated solutions with MEC Access (which doesn’t exist anymore after the Maxus-MEC merger). After spending two years with MEC, Tejwani joined Mindshare, where he currently manages the Idea Cellular Data and Apps business across all brand and performance undertaking. 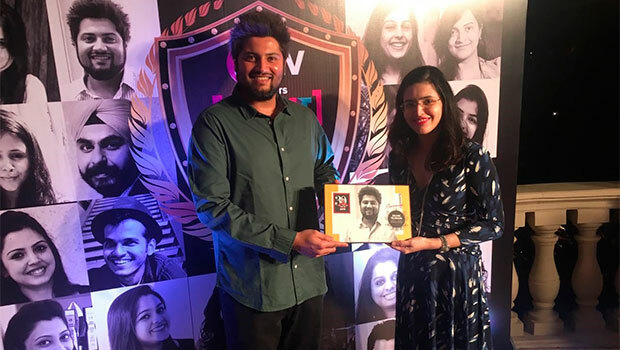 Having spent seven years with Group M, of which about three has been with Mindshare, Tejwani feels that his time at Mindshare has not only allowed him to work with some of the big names in the industry but also challenged him in the best possible way. According to Tejwani, one of the most challenging campaigns he has worked for was the Birla Sun Life Insurance and Mutual Fund campaign. Tejwani believes that the fact that he is pretty relentless is one of his biggest strengths and the fact that he doesn’t really get stressed about things might be a cause for concern. The one thing that Tejwani really likes about his job is that it allows him to get the best of both the worlds. “While it is a desk job, it essentially really isn’t a desk job. This job gives me the luxury of working a non-desk job but while I am sitting right here at the desk. It is a nice mix of a desk job that allows me to think creatively and do something new every day. A national level snooker player, Tejwani’s one regret in life is that he had to give up playing snooker professionally. But even today, he has to have a minimum of an hour either at the snooker table or in the pool every day. “If I could have made money out of it, then snooker player but unfortunately,” smiles Tejwani.